Coach Pat Riley’s “Showtime” Los Angeles Lakers were alive and well during the 1984-85 season, averaging 118.2 points per game. Kareem Abdul-Jabbar was the team’s leading scorer, averaging 22.0 points per game. Magic Johnson averaged 18.3 PPG (to go along with 12.6 assists per contest), while James Worthy (17.6 PPG) and Byron Scott (16.0 PPG) also provided plenty of offense. 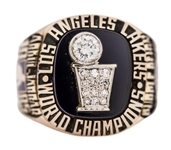 The Lakers cruised through the Western Conference playoffs, tallying a record of 11-2 to reach the NBA Finals. There, the Lakers defeated the rival Boston Celtics for the first time in franchise history in the finals, four games to two, to win the championship. Kareem was named the MVP of the finals. 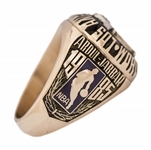 Offered here is a Balfour 14K gold 1985 Los Angeles Lakers NBA championship ring presented to Hall of Famer and NBA all-time leading scorer Kareem Abdul-Jabbar. 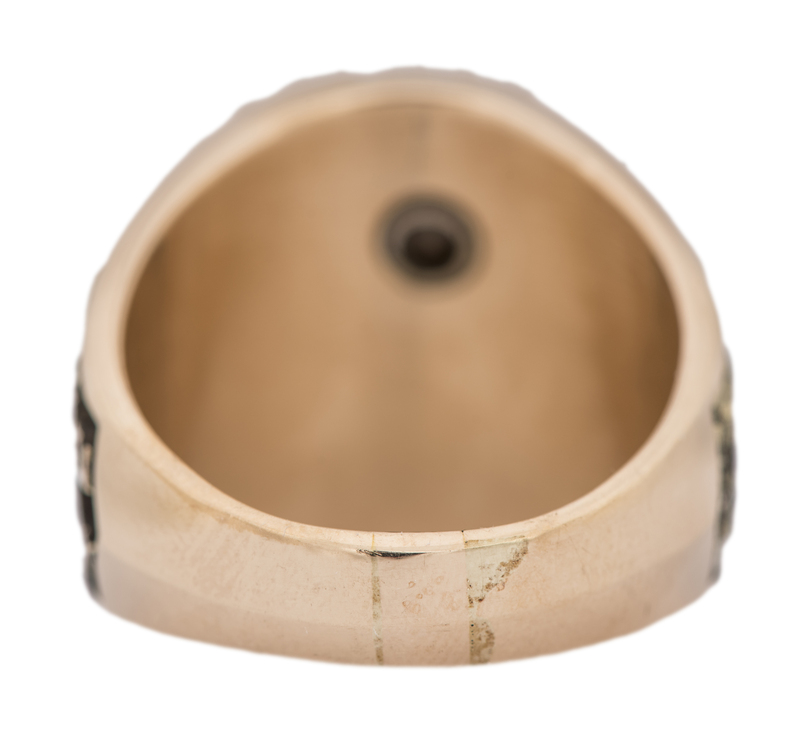 This beauty features an image of the NBA championship trophy comprised of diamonds - with a larger diamond making up the basketball on the trophy’s top - all set on a large colored stone. 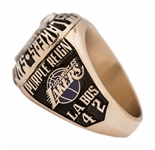 “LOS ANGELES LAKERS WORLD CHAMPIONS” reads in relief work around the bezel setting. The right side of the ring is centered by the Lakers team logo, finished in purple enamel, with “PURPLE REIGN” at the top and “LA 4 BOS 2” at the bottom. 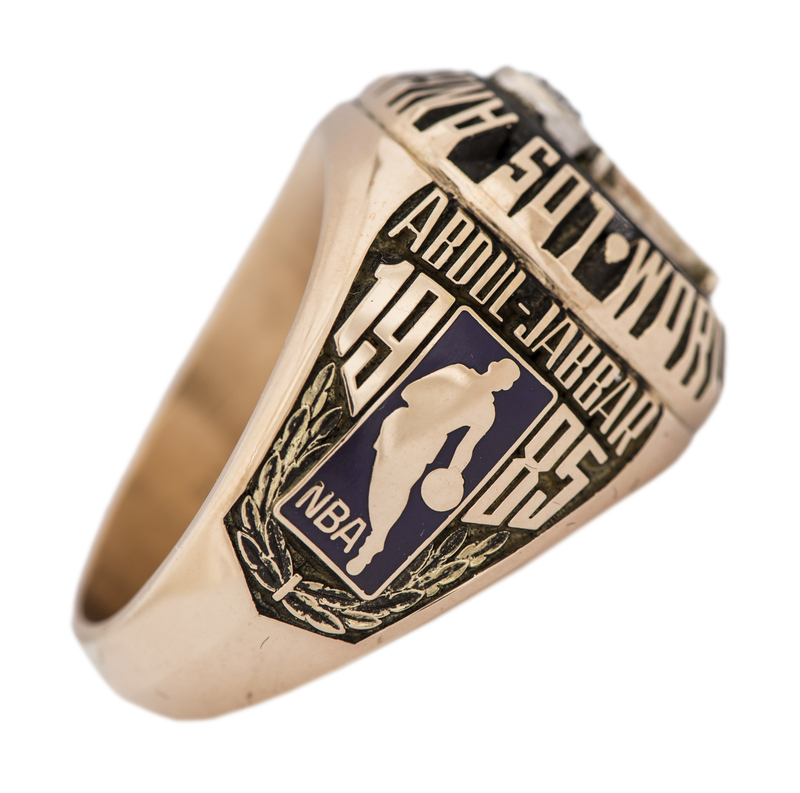 The name “ABDUL-JABBAR” appears on the opposite side, along with an enamel-filled NBA logo and the year 1985. 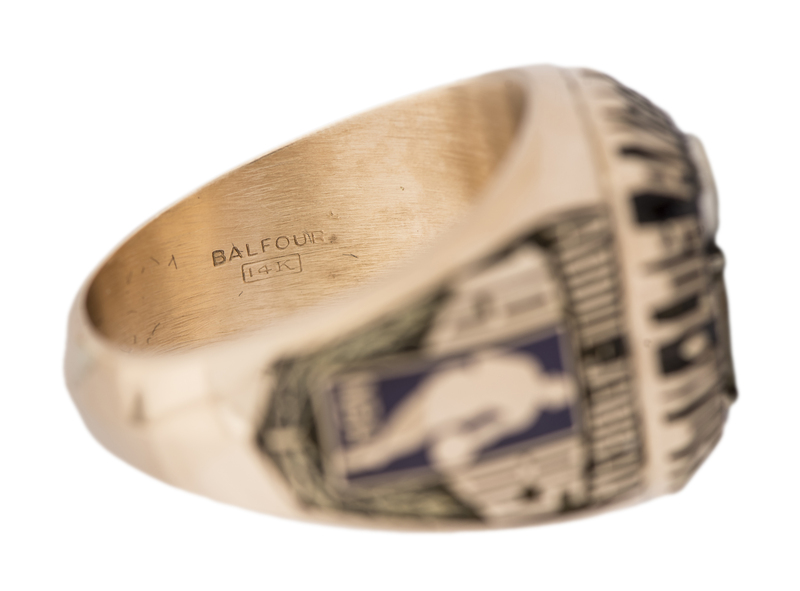 Inside the band is marked “BALFOUR 14K”. 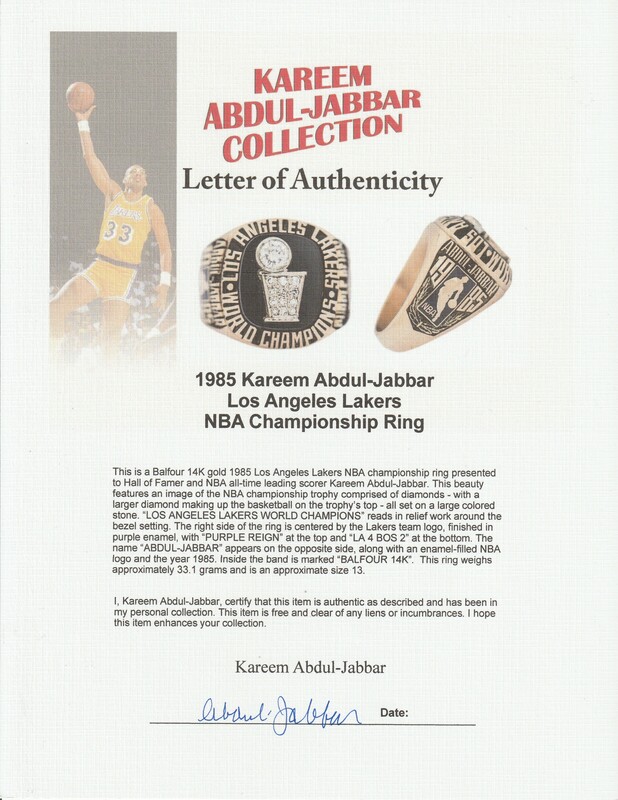 This ring weighs approximately 33.1 grams and is an approximate size 13 and comes with a signed LOA from Kareem Abdul-Jabbar.